In the U.S., we tend to organize politically according to identities. For example, we have a Gay Liberation Movement, a Women’s Movement, and the Civil Rights Movement, to name three big ones. All of these are personal characteristics made political. The cartoon below, by Miriam Dobson, does a great job of showing one of the downsides of fighting for progressive social change in this way. For one, it can make people who carry multiple marginalized identities (for example, gay black men) feel unwelcome. And, two, it makes it seem like people without the identity can’t be part of the movement. One solution is to think about oppressions in terms of intersectionality: we are all a mix of identities that resonate with each other in complicated ways. This is a rich idea, but one lesson that it has taught us is that the strategy of divide-and-conquer has been an effective way to keep multiple groups marginalized. Via Sociology Source, Another Angry Woman, and The Sociological Imagination. We have a fun post about the various ways in which Prince Charles was posed with Princess Diana in order to obscure the fact that she was about his height. 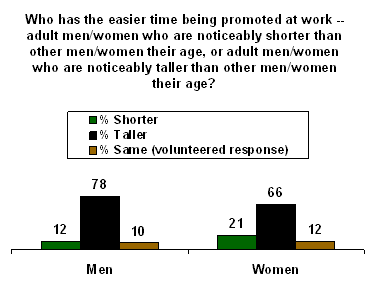 Building on this, Geoffrey Arnold at The Social Complex has collected some examples of men’s height being manipulated in order to preserve the social illusion that men are taller (or at least not shorter) than women. 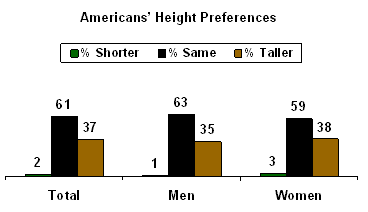 Are Americans Aware of Heightism? Via Geoffrey Arnold, at The Social Complex. See also Arnold’s guest posts from The Social Complex introducing the concept of heightism as a gendered prejudice and discussing heightism (and other icky stuff) at Hooters. You, too, can take any multitude of implicit association tests. Simply go to Harvard’s Project Implicit. 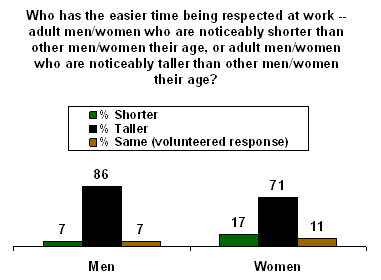 Borrowed from The Social Complex, a heightism blog. See also guest posts from The Social Complex introducing the concept of heightism as a gendered prejudice and discussing heightism (and other icky stuff) at Hooters. Jiang Tao, a child of farmers, graduated from law school only to discover that law firms discriminate against short employees. After confronting minimum height requirements, he sued. See also guest posts from The Social Complex introducing the concept of heightism as a gendered prejudice and discussing heightism (and other icky stuff) at Hooters.